Finsys Infotech Limited, leverages its technology and infrastructure to offer customized Software services to the SME industry. Providing a customized suite of reports in multiple formats and meeting client’s specific needs is our forte. We understand that you have data to manage and numbers to crunch, while providing information to your Management, HOD's, Team Members, Shareholders, Government Departments and all other Stakeholders. Group-MLG makes sure that all the information needed is easy to access, accurate and timely resulting into efficient, collaborative and profitable operations. Customized Software Applications- MLG Group. ensures client satisfaction by meeting specific needs of a business organization with our custom-made software applications. Determined to surpass our own quality every time, we quickly respond to the changing business environment. 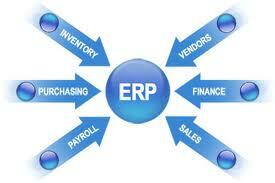 Exemplifying this proficiency is FINSYS, our integrated ERP. A massive ERP package with 53 sub-modules. Finsys ERP has capability of scalability and also a modular implementation approach. Web Site Designing- Taking into account the exact nature of your product/service, we offer contemporary and technically sound secured websites that are easy to navigate with an attractive layout. Interoperability streamlines business processes to produce flexible and customizable solutions. Follow a systematic methodology and round the clock services ensure timely reporting . The in-house suite of services from start to finish guarantees the confidentiality of your data. The estimated turn around time is less leading to a better response management system.